The 2012 OSU Football season wasn’t supposed to be anything special. It was the first year of the Urban Meyer who came in replacing the most accomplished OSU coach since Woody Hayes. Due to some horrible decisions, the team was on a self-imposed bowl ban (Athletic Director Gene Smith should be fired for this) so realistic expectations were to set the team up for a success in 2013 and, of course, beat Michigan. 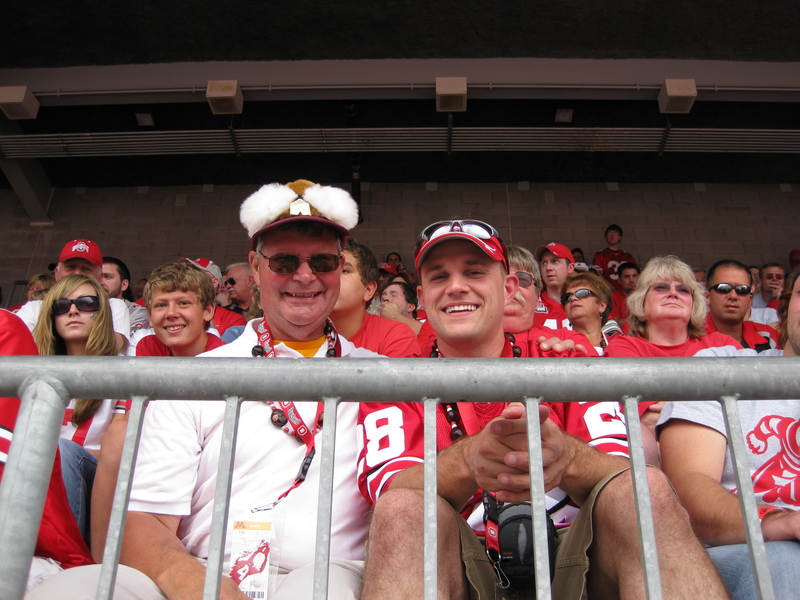 I was lucky enough to purchase season tickets from a wonderful friend and was able to attend nearly every home game. Some highlights from the year before I link to the photos…. Braxton Miller was amazing. I was in awe multiple times per game. I can’t wait to see the progress he makes in the off-season He can be a beast in 2013. 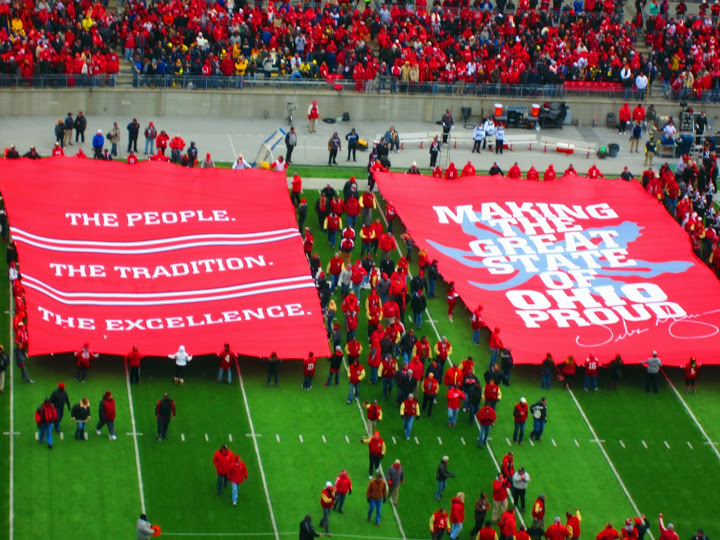 When Urban was hired, he vowed to ‘Make the Great State of Ohio Proud’…. in year one, this was a resounding success. It is unfortunate that Gene Smith was so incompetent in his role as athletic director by imposing the bowl ban this year instead of on last years 6-6 team. This was the wrong choice for a lot of reasons… the first and most important is that this team didn’t feature any of the players that got OSU into the mess in the first place. They all left OSU after last year. Second, why jeopardize tomorrow for today. When you are running a $100+ million dollar organization, that line of thinking is inexcusable. I don’t care how bad the Big 10 is this year, OSU deserves to be ranked #2 in the country. They went undefeated in a major conference. This team reminds me of the 2002 OSU National Championship team in that they do whatever it takes to win. Some teams just have that ability. I would have loved to see them play in a BCS game.